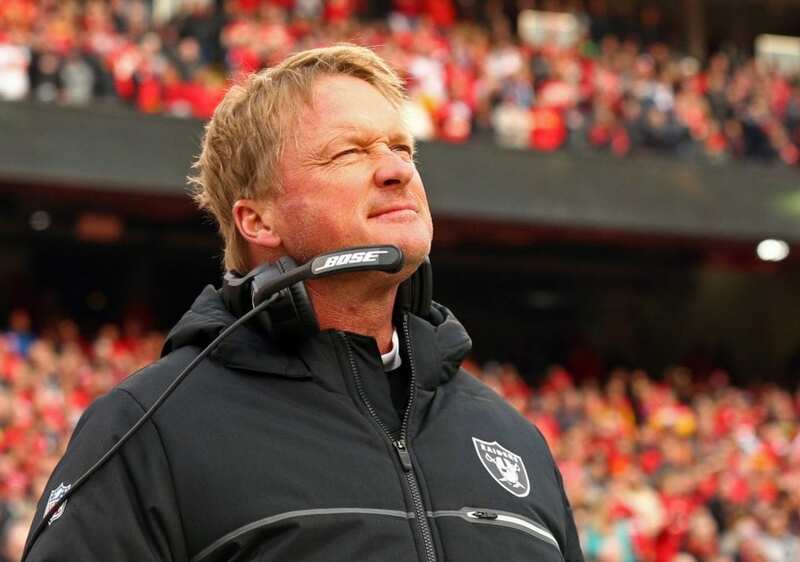 With three draft picks in the first round of the 2019 NFL Draft, it has been clear the Oakland Raiders would be in control. The question was only where those picks would fall. This was the Raiders’ own pick, which fell out of contention for the top spot after they beat the Denver Broncos in their final game in Oakland. As it stands, the likely scenario is that this pick gets used on a defensive lineman like Nick Bosa, Rashaan Gary, Ed Oliver, Josh Allen or Quinnen Williams. One sneaky player to watch? If LSU linebacker Devin White keeps creeping up draft boards, I wouldn’t be shocked if the Raiders went that direction with their first pick given the defensive line depth in this draft. This is the first of two first round picks coming over from the Bears as part of the Khalil Mack trade. While it’s nowhere near where the Raiders hoped it would fall, it should still net them a crucial piece moving forward. As mentioned above, this draft is loaded with defensive linemen so regardless of what they do with their first pick, I’d expect them to go back to that well here as well. If not? This could be a spot to grab an offensive weapon for Derek Carr like Noah Fant or N’Keal Harry. The final Raiders pick in the first round comes via the Cowboys, who lost in the second round of the playoffs to the Los Angeles Rams. Again, not where the Raiders hoped this pick would fall (the Cowboys finished the season 7-2 with Cooper), but still a first round pick. If the Raiders go defense with their first two picks (which is likely), this could be the spot to snag someone like Fant or Harry. The Raiders also have No. 35 (third pick in the second round), No. 66 (second pick in the third round), No. 100, No. 131, No. 184 (from Bears), No. 196 and No. 213 (from Seattle Seahawks). The only pick of their own that they don’t have is their sixth round pick, which was sent to the Pittsburgh Steelers as part of the Ryan Switzer trade.